How do I communicate with colleagues from other cultures? How do I recognise intercultural differences, and how can I react flexibly to them? Why do colleagues sometimes react so strangely? How can I build a good relationship with my colleagues, even if I barely see them? What do I do with incomprehensible e-mails? It is not always easy to maintain successful international cooperation and good international business relations. The United Kingdom, France and the US seem to be very similar cultures to our own. But appearances are sometimes deceptive, and we often wonder why the chemistry is not so good, and why business transactions don’t then work so well. 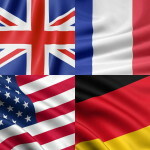 What should I do to maintain good business relations with the British, the French, and Americans? How can I avoid intercultural misunderstandings? Why are problems only communicated so late – if at all? Avoid falling into the trap of assuming we are the same, and get the necessary intercultural competence and flexibility to improve your business dealings and cooperation with the British, French and Americans. 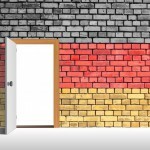 More and more foreign workers are working in German companies. They have different cultural backgrounds, and therefore often have difficulties integrating and communicating freely with their colleagues and superiors. Understanding the German language is a first important step. But to be successful in Germany, it is also important to understand the German business culture. The same applies to non-German employees in foreign branches of German companies who communicate a lot with Germans. Who can I call “du”, and who should I call “Sie”? Why is there this difference anyway? One appointment after another, is this really necessary? How punctually do I have to turn up for meetings? Why does my boss act so strangely? What can I do to be taken seriously, so that I can get ahead here? Intercultural training is usually scheduled over 1-3 days. Benefit from tailor-made intercultural training for your needs. International cultural dimensions: how do cultures differ? Cultural standards in Germany: what makes the Germans tick? Cultural standards in the UK: what makes the British tick? Cultural standards in France: what makes the French tick? Cultural standards in the US: what makes the Americans tick? 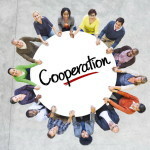 Virtual cooperation: what are the success factors?